More current information coming soon. Includes: Who are these people, groups, and tribes who have shut down: more than 40 saw mills, Klamath River Basin's suction dredge mining, and much use of surface and well water to irrigate. And who do they have associations with? 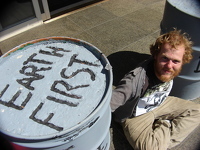 Who have they sued over logging, mining, and water quality and water rights. Closed-door Negotiations creating the former KBRA / Klamath Basin Restoration Agreement. which included downsizing agriculture and water available to agriculture, gifting land to Klamath Tribes, introducing more 'endangered' species into Klamath Lake, destruction of: Klamath hydroelectric dams that serve 70,000 households, fish hatcheries, water storage for forest fires, renewable power, flood prevention, reservoirs and communities, local economy, recreation, and fish habitat to be covered by 20 million of cubic yards of silt from the demolished clay core dams. 79% of Siskiyou County, nearly 50% of Klamath County, and 77% of Tulelake voters opposed Dam Destruction in the November 2010 vote. The KBRA died from widespread opposition. which included downsizing agriculture, expanding government wetlands, and returning to the Klamath Tribes 690,000 acres of the Winema/Fremont National Forestland they previously sold. Negotiating were Klamath Water Users Association, Department of Interior, Klamath Tribes and KBRT/Klamath Basin Rangeland Trust. This died from widespread opposition. other than the KBRA and dam destruction. Follow the Money and agenda behind the KBRA! George Soros? HERE for Sept. 30, 2009 Draft Hydroelectric Settlement Agreement, comprehensive briefing, summary, and public review and comment notice. *** "Confidential and Privileged Settlement Communications"
2016 KLAMATH POWER AND FACILITIES AGREEMENT, 3/31/16. This is the amended DRAFT of the KHSA / Klamath Hydroelectric Settlement Agreement (Klamath Dam destruction deal, largest in the world). KBC Note: This amended draft was distributed to parties only the past few days, not made public, and the deal is set to be signed April 6th, bypassing the public, Congress, and Klamath and Siskiyou County governments (which oppose the dam-removal deal, where the Klamath Hydroelectric dams are located. Karuk Tribe documents of litigation against PacifiCorp, reposted to KBC 6/3/13, sent by Craig Tucker, Karuk tribal spokesman. Comment period extended to Dec 30. on KBRA/KHSA Klamath dam removal settlement EIS/EIR report. Senator Jeff Merkley (OR) and Congressman Mike Thompson (CA-1) today (11/10/11) jointly introduced the Klamath Basin Economic Restoration Act in the Senate and House. 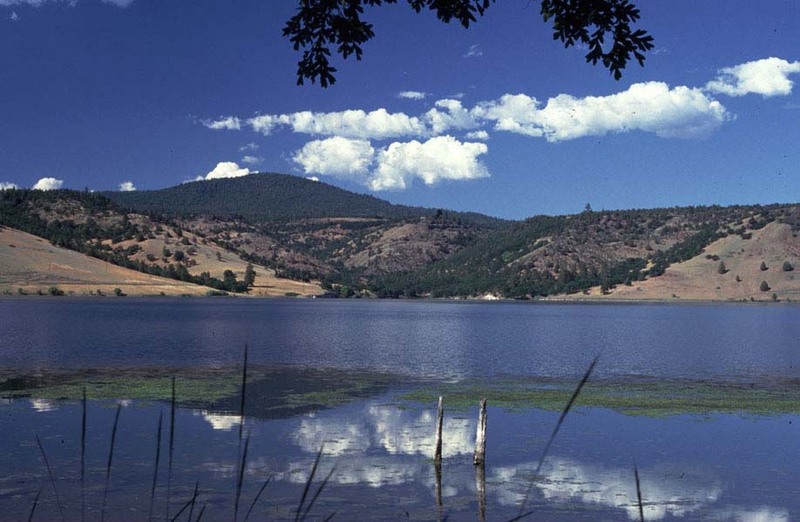 The Klamath Basin Economic Restoration Act authorizes the implementation of the Klamath Basin Restoration Agreement (KBRA) and the Klamath Hydroelectric Settlement Agreement (KHSA). CONFIDENTIAL-The Klamath Basin Restoration Agreement / KBRA rulers have a detailed comparison of the 2008 KBRA draft and the Jan. 7, 2010 final draft They are presently not allowing YOU to read this before any public meetings, before your rulers vote. Here is the pirated PDF file of CONFIDENTIAL DETAILED COMPARISON! Here is the text file. Here is the email summarizing the summary. READ IT! It explains what will happen to your water rights, possible water allocations unless the ESA and Biological Opinions interfere, hydro dams, planting endangered species in your stored irrigation water, climate change studies, tribal land gift, new Tulelake Fish and Wildlife refuge water priority, walking wetlands on public and private land, mandatory agriculture downsizing, the dispute resolution group that will control how you sue each other, who will control your new water allocation ......There is still no drought plan. KBRA "Drought Plan" - Klamath proposal spreads out pain, Plan: Oregon Water Resource Department to declare droughts, Capital Press 4/21/11. "The council was taking written comments on the plan through April 18..."
Draft Drought Plan: "This Draft Drought Plan has been developed by the Drought Plan Lead Entity identified in the Restoration Agreement. The Lead Entity is comprised of: Klamath Tribes, Karuk Tribe, Yurok Tribe, Upper Klamath Water Users Association, the Klamath Water and Power Agency, the Klamath Basin National Wildlife Refuges, Oregon Water Resources Department, California Department of Fish and Game, and Trout Unlimited, as the representative of the conservation and non-tribal fishing Parties to the Restoration Agreement." "Klamath Drought Fund (Fund), to be administered by the National Fish and Wildlife Foundation (NFWF)...As contemplated by the Restoration Agreement, money deposited in the Fund will remain available until expended... NFWF will approve or disapprove an expenditure plan..." "...after NFWF becomes a party to the Restoration Agreement..."
"OWRD is the entity responsible for declaring and revoking a declaration of Drought and Extreme Drought..."
p. 24: "Following the effectiveness of the limitations on diversion...In order for this further limitation to be effective, the Restoration Agreement Fish Managers must determine by majority vote whether there will be a reduction, and how much the reduction will be..."the Restoration Agreement Fish Managers are: the Klamath Tribes, the Yurok Tribe, the Karuk Tribe, the California Department of Fish and Game, the Oregon Department of Fish and Wildlife, the U.S. Fish and Wildlife Service, and the National Marine Fisheries Service." "Recommendations from the TAT will account for outside factors including but not limited to climate change." Mazama Tree Farm, 179± Million board feet, part of the proposed Klamath Water Settlement deal for the Klamath Tribes. HERE for DC video from 1/24/08. 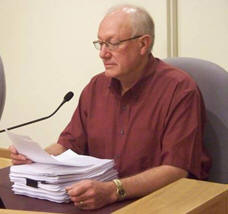 Klamath Settlement Analysis, by Marcia Armstrong, Siskiyou County Supervisor District 5 1/18/08. 5/23/08, Dr. Thomas Hardy support for the KBRA, posted to KBC 3/7/09. Discusses evaporation, retiring farmland, and limiting groundwater pumping. FERC ignores salmon mandates, recommends keeping Klamath dams, Capital Press 11/16/07. "The final environmental impact statement from the staff of the Federal Energy Regulatory Commission chose trapping and hauling fish around the dams rather than building expensive fish ladders and reducing power production to help salmon...The dams produce enough power for 70,000 households." This is where is all began: Klamath River Fisheries Task Force meeting with Fish and Wildlife in Hoopa 10/5/93. Attending: Tulelake farmer John Crawford, Klamath Forest Alliance founder Felice Pace, etc. Discussed are strategies to plant endangered fish in the Klamath Basin, remove dams, seek mandatory minimum stream flows, oppose large water storage, and create a timeline. In 1993 they sought consensus. In 2009 at the KBRA/settlement agreement table, there are closed door meetings; if you do not agree you are not allowed at the table. National Marine Fishery Service Modified Prescriptions for Fishways and Alternatives Analysis for the Klamath Hydroelectric Project (FERC project #2082) from the Dept of Commerce and NMFS, posted 1/30/07. The following is an excerpt from the proposed California water bond, posted to KBC 9/7/09, regarding Klamath dam removal.